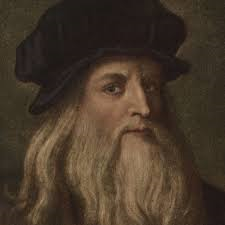 Leonardo Da Vinci, born April 15, 1452Public Domain Neil deGrasse Tysonhttps://www.npr.org/2015/10/24/450994221/not-my-job-we-quiz-cosmos-expert-neil-degrasse-tyson-on-cosmetology“For me, I am driven by two main philosophies: know more today about the world than I knew yesterday and lessen the suffering of others. You'd be surprised how far that gets you”(Neil deGrasse Tyson). 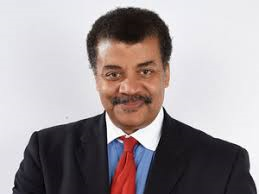 Dr. Tyson, an astrophysicist, explains that the two main values that drive him are curiosity and compassion. To me, heroes are people who sacrifice resources to better the world’s condition;even if only one person is affected at one time for the better, the world overall is helped. Heroes are also people who take or make the opportunities to help others. Heroism can be seen in the volunteer who works to build a well in a rural town without water as well as in the schoolchild who donates his money to charity instead of buying himself a toy he wanted badly. In both of these cases, resources are sacrificed, whether they are time or money, for the betterment of society. Scientists like Dr. Tyson are also heroes;they sacrifice time and money to progress scientific knowledge in order to increase the people's quality of life. They create their opportunity to help others by choosing to be scientists. However, in order to maintain the quality of their work, scientists must also possess curiosity and compassion. A scientist who lacks curiosity will not be driven to continue progressing the sciences;a scientist who lacks compassion will lose humanity and may stop adhering to ethics in his or her work. Neither scientist could be called a hero. Therefore, a good scientist improves the world through his/her curiosity and compassion. Leonardo da Vincihttps://www.biography.com/people/leonardo-da-vinci-40396“One hundred years before Galileo and Bacon, he single-handedly developed a new empirical approach to science, involving the systematic observation of nature, logical reasoning, and some mathematical formulations-the man characteristics of what is known today as the scientific method”(Capra 2). Leonardo da Vinci can be established as a scientist because of his usage of an empirical method for acquiring independent knowledge- a forerunner to the modern scientific method. Leonardo da Vinci was born on April 15, 1452 in Anchiano, Italy, a town close to Vinci. He was born an illegitimate child, which limited the education he could have. He was raised by his uncle Francesco, a man who appreciated nature and was very knowledgeable about it:“Doubtless it was Francesco who instilled in the young Leonardo his deep respect for life, his boundless curiosity, and the patience required for intimate observation of nature”(Capra 66). His main education was in the workshop of the well-known craftsman, Verrocchio. After he was declared a master painter and was sent to Milan from Florence, his scientific endeavors began to become more prominent, and he became renowned through Italy and France. In France he died on May 2, 1519, under the patronage of the king at the time, Francis I. Leonardo’s main travels were between the Italian cities of Anchiano, Florence, Milan, Venice, Rome, and Cloux in France. Even at a young age, Leonardo da Vinci was being taught by his uncle the two important qualities of a scientist, curiosity and compassion. Leonardo da Vinci was able to improve the world through the sciences because he possessed the two values key to scientists, curiosity and compassion. The last sentence shows how Leonardo was always curious about the phenomenon around him, which he saw and perceived, whether it was the rippling of water after a stone was thrown in a lake, or the blueness of the sky visible from the height of a tall mountain. Leonardo’s curiosity led him to ask the notorious question: “Why is the sky blue?”, and he used his expertise to correctly determine the answer of what is perhaps the the most notorious question in history. Leonardo’s curiosity led to the discovery of many key concepts and phenomena that we take for granted today, discoveries that were far before their time. Leonardo’s curiosity is seen through his formulation of the scientific method and his revolutionary discoveries. Through the personification of nature, one can see that Leonardo saw nature as a governing force which established certain traits in organisms in order to best preserve them. This idea is supported by that of natural selection;traits that help an organism survive will become prevalent in the species. Because animals have the ability to move, pain will be useful for them because they will be able to escape or fight back in order to preserve the parts that are being damaged. Because plants can’t move, this trait would not help them survive, and being pointless, it would not exist. Using this reasoning, Leonardo deduced that animals, unlike plants, feel pain;Leonardo’s compassion is seen through his decision to be vegetarian in order not to cause pain to animals, even though this was unheard of at that time. Leonardo also valued the freedom of animals, as seen through a translation of the words of Vasari: “Often when he was walking past the place where birds were sold he would pay the price asked...and let them fly off into the air, giving them back their lost freedom”(Capra 21). This quote shows how Leonardo, though he valued the ethical treatment of animals, maintained peace with their owners as well, paying “the price asked” and “giving back their lost freedom”. While, in the markets of Florence, birds were sold in cages to be used appropriately by their owners, Leonardo chose not to use the birds, but instead to give them back their freedom;Leonardo’s compassion is seen through his sacrifice of money to free the enslaved birds. Leonardo da Vinci’s compassion helped him maintain ethics in his work and helped him with his relationships;he didn’t want to harm any creature in his work and because of his friendly disposition he profited from others, giving himself greater ability to help the world. 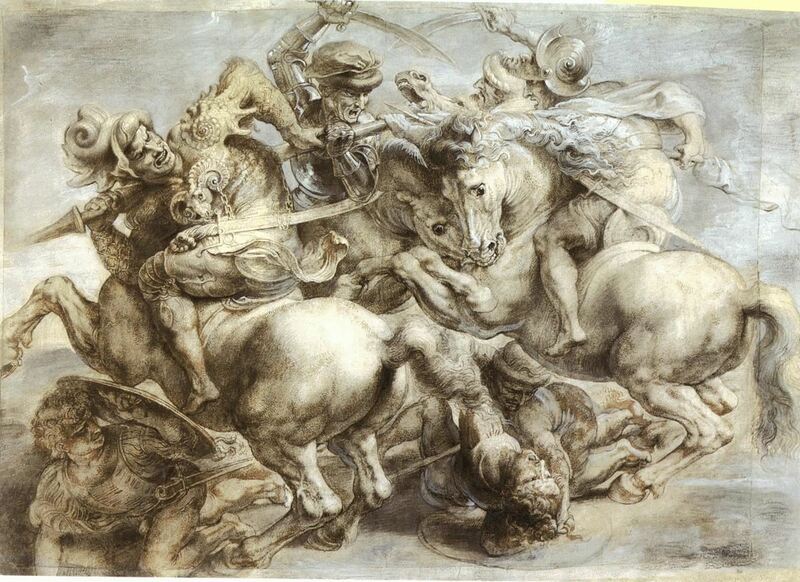 Leonardo’s compassion is clearly seen through his decision to portray war as madness, his decision to be vegetarian, and his sentiment in the freedom of animals. Drawing of Turbulencehttps://www.callumatkinsononline.com/fluid-turbulence/Leonardo da Vinci was an excellent model of curiosity and compassion, the two main values with which the sciences may be best progressed in order to advance the world most. Leonardo modeled curiosity through the formulation of his scientific method and discovery of many phenomena;through his discoveries he contributed to many of the sciences such as anatomy and fluid dynamics: “He documented how the aortic valve in the heart works, something researches only confirmed in recent years”(“The Genius of Leonardo Da Vinci.” cbsnews.com). 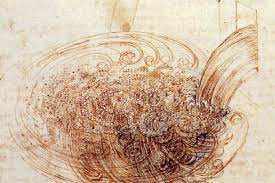 “Throughout his life, he strove to understand the mysterious processes underlying the creation of nature’s forms by studying the movements of water through earth and air...His examinations...of...turbulence establish Leonardo as a pioneer in a field that did not even exist in his time-the discipline known today as fluid dynamics”(Capra 173). He also modeled compassion through his condemnation of war as madness, his vegetarianism, and his value for the freedom of animals. Leonardo remains an excellent model for aspiring scientists not only because of his phenomenal feats, but also because of his scientific attitude. To me, Leonardo’s love of learning, which was born of his curiosity, is inspirational. Today, Leonardo, for his compassion in regard to nature, is an inspiration to the cultural movement known as “Deep Ecology”. “Deep Ecology” attempts to work with nature to solve problems rather than to solve problems by manipulating nature. A definitive example of Leonardo’s inspiration is seen in author Walter Isaacson, who stated that: “I walked over here...through Central Park, and I took a little bit of extra time. Because he loved the way light hit leaves and formed shadows...Those are the type of things he noticed and I try to push myself to notice things that Leonardo would have noticed”(“The Genius of Leonardo Da Vinci.” cbsnews.com). Leonardo’s inspiration shows little signs of abating and continues to grow: "In fact, debate has spilled over into the personal realm of his life—over his sexuality, religious beliefs, and even possible vegetarianism, for example—which only confirms and reflects what has long been obvious: whether the subject is his life, his ideas, or his artistic legacy, Leonardo’s influence shows little sign of abating"(Heydenreich britannica.com). Like the scientists of the modern age, such as Dr. Neil deGrasse Tyson, Leonardo da Vinci was dedicated to the pursuit of knowledge for the betterment of the world, which is best achieved through the traits of curiosity and compassion. Capra, Fritjof. The Science of Leonardo: Doubleday, 2007. Britannica, Inc., 5 Jan. 2018, www.britannica.com/biography/Leonardo-da-Vinci. Museum of Science | Leonardo Da Vinci - Gain insight into the mind of a genius and the fundamental scientific and artistic principles he discovered.